Grab your cell phone and program in the most important person to notify in case you are hurt or in an accident. But instead of putting their name with that phone number, put in the following 3 letters: "I.C.E." This stands for "In Case of Emergency". I have verified this information with several emergency room nurses and ambulance paramedics, even the captain of one of our local fire departments. All reported that once a patient is stabilized, they look in the cell phone for an "I.C.E." entry if that patient is unable to give them a contact person. The medical personnel can then notify their loved one, let them know there has been an accident and what hospital to come to. We all like to think it will never happen to us, but the truth is, it does happen. So get your cell phone out right now and program in your "I.C.E.". If your kids have cell phones, do the same for them. A very heavy heart today and everyday for the children that are victims of the evil monsters that walk among us. The kitchen is where the party gathers. Does your kitchen need a facelift? When the subject of resale value is raised, the number one room experts recommend improving is the kitchen, followed closely by the bathroom. Kitchens sell homes because they are popular gathering places for the whole family, and because cooks enjoy working in a spacious, attractive environment. Kitchen upgrades can increase your home's value without breaking the bank or requiring months of construction, so it might be time to give your kitchen a new look. The easiest and cheapest kitchen upgrade is a fresh coat of paint. This goes for walls, moldings, and cabinets, depending on your personal aesthetic. Feel free to get creative if you want a unique look for your kitchen. You can use contrasting but complementary colors to create a faux wainscot, for example. Choose colors that work well with the colors already present in your floors, countertops, and backsplashes, unless you plan to replace them as well. Kitchens usually work well with light, cheerful colors, though that is hardly a rule. The great thing about paint is that it can always be corrected cheaply if it doesn't work the first time around. For some people, paint is too messy and time consuming, and for others, paint alone is not sufficient to qualify as a true kitchen upgrade. To complement the new paint job or to simply give your kitchen an interesting facelift, go shopping for new hardware. Drawer knobs, cabinet handles, faucets, light fixtures, and other small pieces of hardware can make a huge difference in the appearance of your kitchen. You might hang a pendant lamp over your breakfast table, for example, to highlight that area as a gathering place and to create more visual interest. Recessed lighting in the ceiling or under cabinets can work well, and matching knobs and handles for drawers and cabinets can bring together an otherwise chaotic design. One of the first things buyers look for in new homes is the appliances. If you want to increase your home's value, evaluate the quality and age of your appliances, then replace as necessary. Not only will new appliances update a kitchen and improve functionality, but they can also save money on energy costs because newer models are more energy efficient. A new sink is another quick kitchen upgrade that can increase resale value and improve the overall look of your kitchen. Sinks take quite a beating over the years, and modern sinks tend to be deeper and more stylish than their older counterparts. Installing a new sink shouldn't take longer than an afternoon, so it's a great weekend project. Keep in mind that kitchen upgrades can sometimes get out of hand, so before you head to the hardware store, determine a budget for the project. This will help you keep your expectations and your spending in line, and make the process go much faster. November sales of existing homes in the 4-county Metropolitan Milwaukee housing market were up 24.2% compared to November 2011. 1,202 homes sold vs. 968 in November 2011. For the year, sales are up 25.7% compared to 2011 (14,937 vs. 11,881), and up 29.4% in contrast to 2010 (11,539), as buyers take advantage of historically low interest rates and low prices, although availability is limited. At the end of the 3rd quarter, the GMAR predicted that year-end sales would top 15,000 units. With the strong fall market 15,000 units is all but assured, and 16,000 is very possible. The last time the Milwaukee market sold more than 16,000 units in a year was 2007, the beginning of the real estate recession. GMAR brokers are excited to finish the year on a strong note, and hopes are high that the federal government will avert any dramatic shock to the economy or financial markets by avoiding the “fiscal cliff.” Lenders are still very shy about making mortgage loans, even to home buyers with good credit; and any shock to the credit markets will lengthen an already long housing recovery. 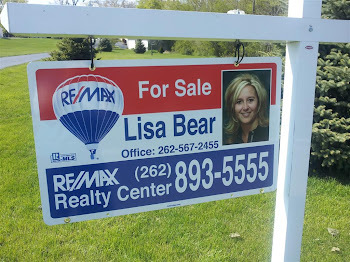 While you are looking to buy or to sell a home, life goes on - parties and holidays, life-events and out-of-town guests happen. Simply living in your home can be a challenge while you are showing it; keeping things neat and tidy, clean and inviting is not something everyone thinks of or can achieve with ease. So entertaining and decorating for special occasions might just seem impossible - but here are some tips and tricks for ensuring your success in showing a home and having fun, too. Celebrating holidays and events with festive décor can make your home more memorable to potential buyers, and this is the time to control those memories and turn them to your favor. There might even be a plus side to entertaining or hosting events in a home you are selling with the increased exposure. What a time to host a party! In addition to all those things you've done to show it to perspective buyers, now you and your friends get to enjoy it, too. With each room looking great, your guests might get a last chance to see you in your old place. All those fine features of your home can shine under the warm glow you bring to your special event. From where you place focal features of the season or event, to showing your great dining area or garden feature in all its glory, this can be the time to stage your home with a bit of glitz. Décor: When "Less is More"
The splendor of each holiday, regardless of your customs or heritage, can bring quantities of clutter into a home, making rooms feel smaller and more crowded. Be aware of the scale of items you bring in, and consider taking other items out. You can redecorate again after the events are over. Remember, this is still your home, and you can have the fun while also making smart choices to sell it. Choose decorations to showcase great features of the home - if you have a high ceiling with crown molding, following the lines of a holiday tree can illuminate this asset. However, if the room is small, ensure that the tree you choose does not overpower the space; consider a tasteful table-top tree with smaller ornaments, it will be easier to set up and to take down, too. Home-made decorations may be beautiful, but consider the over-all look before unpacking everything. You get to be strategic as well as nostalgic this year. An unusual home-made item might be just the thing that keeps your home in people's mind, but make it a favorable memory for them as well as for you. Hosting events in your home, especially around the holiday season, creates a natural time for good smells. People won't laugh that you are luring them in with cookies, because many people really do a lot of baking during the season. However, watch out for overpowering smells of other food and scented candles that can make it seem like you are masking odors. During the winter months, live greens are wonderful smelling, but present issues if your home is dry and warm - the browning needles may drop from trees and garlands, so ensure you have a broom or vacuum handy and keep that live tree watered well. Each activity or decorating choice will be more important because the space is essentially open to potential buyers. Timing of the party - Weekends are prime time for showing a home - having a party at the beginning or middle of the week allows for time for decorating and clean up, with potentially fewer showings being impacted by your plans. When this is not possible, you must decide if having the party in your home is worth giving up the weekend showings. Consider consulting with your real estate agent to find out trends in your area when choosing time of the day or week for entertaining. You might find that doing a luncheon mid-week makes sense; if you can be flexible, look at options for the timing of your event - there are trade-offs and advantages to each. Guest List - managing the impact to your home sometimes comes down to managing the size of your event. When possible, it is a good idea to look critically at the guest list. In addition to deciding if the event needs to be small or large, plan the party around the people, as well as the event you are celebrating. Not only is this good entertaining smarts, but practical, too. If the guests are young, they might not be so worried about their surroundings and would be happy in a decked-out garage. or outside - saving worry about spills and mess on carpets. Some guests might have special needs - they have to avoid stairs or require certain seating, dictating what rooms will need to be used. As you see to the needs of your guests, do a mental check about how their needs will impact your preparation and cleanup. Overnight Guests - if you cannot book them in a hotel, making some simple changes in advance to reduce the impact of their stay, and encouraging them to be co-conspirators in your efforts to keep things tidy will keep things flowing smoothly. Provide small covered hampers for soiled clothing, baskets for sundry items on dressers, empty drawers and closets so they can stow items easily will aid your efforts. When guests have to sleep on couches or hide-away beds, plan to have helpers tidy the room in the morning and set up accommodations again each night. Explain in advance that you might be doing this, if your guests are used to being able to spread out without a care; an honest word of your desire to host, while stressing the importance of selling your home can make a lot of difference. But beware: when guest items are stowed out of the way, things might get left behind. You can help your guests (and yourself) by going through the area carefully before they leave, tidying up as you go. Clear surfaces and cover them with protective decorations - placemats, table runners, trivets, coasters, and throw rugs can make a home look festive, while being easy to remove (gather them in a big laundry basket when you are done with the event). Party-proofing can save some worry. You will be able to clean easier if you pack up some of the more breakable items, and when you do so, you can decide what to put back. Consider it a second chance to remove any clutter and to actually re-stage your home. Hire a helper - having a responsible person (or two!) in the kitchen who can take charge of garbage, dishes, pots and pans, ensuring food is stocked and plates are cleared. Or even consider having the event catered, and then your kitchen won't be impacted by cooking. After the party, help with cleaning and returning your home to show-able condition will be most welcome. Serve food and drink that are easy and less messy - chocolate, red wine and tomato sauce may be favorites, but consider that messes and accidents can be tough to clean up. If the menu has to include items like this, consider where and how you serve them. Keeping the chocolate fountain on an easy to wipe surface, in an area without rugs, might just make it all the tastier. Or, go for pre-dipped treats where the chocolate is still delicious, just hardened and less likely to stain something. Have clean-up supplies handy, and be ready to use them with a smile. Catering services or bringing in pre-made food from restaurants enables you to keep the kitchen clean and aids in reducing odors in your home. If specific family recipes must be cooked, consider cooking them in a friend's kitchen, or hiring someone who will cook from a family recipe. Decorations that can be put up and taken down easily score big points. Balloons can make a big splash, and deflate to nothing, plus guests love to take them away. Streamers everywhere might look pretty, but tape and ladders can be an issue. If you must go this way, have a plan and create the time to take them down in a timely manner. Maybe that piñata is not such a great idea - or how about breaking it in an area that is easier to clean? Oh, and confetti? If tradition dictates practice, then you probably know how to get it up quickly and efficiently with a high-powered vacuum. But do you really need it? Soap bubbles might seem fun, but they leave a sticky residue that tends to attract dirt to carpets. Nix bubbles, too, if you can. All good things must come to an end: be timely in taking things down. If you can't avoid going over the top with the party trimmings, have a plan for how and when things will return to normal. If you are keeping decorations or lights up throughout a season or holiday, do a quality job with them. After all, using hooks you leave in place all year long so that putting up the lights is easier can be a benefit to someone who notices detail. And those same tasteful decorations can add glow to the best features of your home. While your event might cause you to improve lighting on the outside of your home, balloons and excess cans for trash pick up don't improve your curb appeal. Ensure that you have a plan for dealing with recycling and garbage - both during and after the event. It is important that it doesn't look like there's inadequate room for you recycling or trash. Plan to remove it promptly, even if your city pickup is a few days away. So in the end, holidays and events that are well planned and executed might be just the thing to do. You don't really have to stop entertaining - you just have to be smarter about it. Enjoy your home, show it off to groups of people, and still live a life you love while selling your home during the holidays. Keeping the tips in mind, you are guaranteed to be off to a great time. 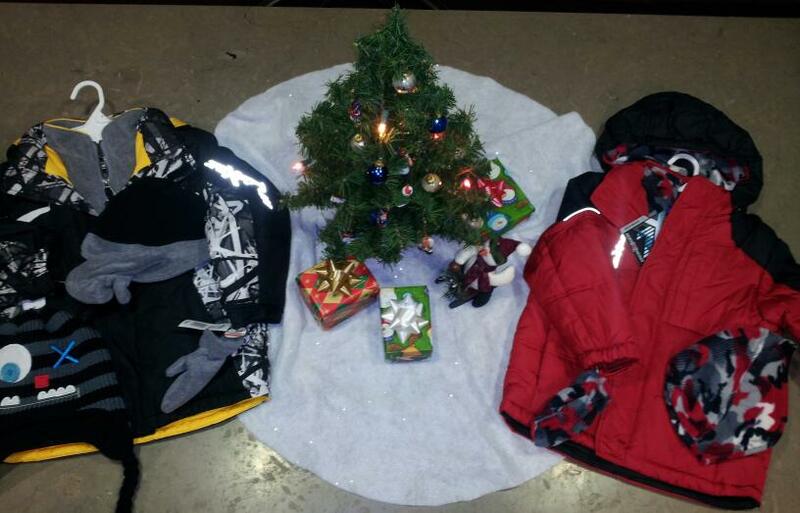 An AMAZING little boy.....bought these jackets with matching hats and mittens out of his "own money" for REMAX REALTY CENTERS COAT, HAT and MITTEN DRIVE to donate to local needy families. I love that this little guy (I wish I knew who it was) understands the true meaning of CHRISTMAS isn't about receiving but about GIVING. His parents should be very proud!